San Fransokyo is in trouble! Robot genius Hiro Hamada finds himself catapulted into danger, and turns to Baymax, a plus-sized inflatable robot for help. 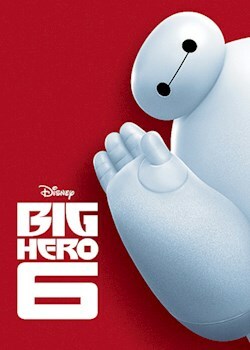 Along with adrenaline junkie Go Go Tomago, neat-crazy Wasabi, chemistry whiz Honey Lemon, and fan boy Fred, the team must uncover the mystery and transform themselves into a band of high-tech heroes called Big Hero 6.